Outdoor Sports, Exercise Pools, Ozonators, Aqua Swim Spa, Badu jet, Speck Pumps, Badu Stream. The BaduJet since 1973, still the world leader in water treadmills. BaduJet allows the pool user to swim, run or walk against a water current. The flow control knob regulates two powerful jets of water creating resistance for an enjoyable walk, jog or swim. It's virtually a treadmill in water with less pounding and harmful jarring caused by street exercise. Capable of creating a current in excess of 5000 GPM, the BaduJet's patented system can be installed in most pools, new or old, no matter what size or material. BaduJet also provides relaxation; the attachable hose produces a pulsating refreshing massage. The product may not be challenging or satisfying for all levels of exercise. 1. 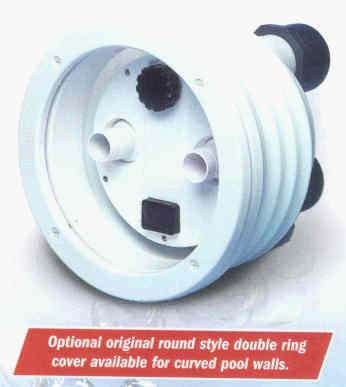 Flush mounted, plastic housing, 16" diameter. 2. Rectangular Anti-Vortex Cover for undetectable suction (20" X 17"). 4. Volume control knob adjusts flow of water. 6. 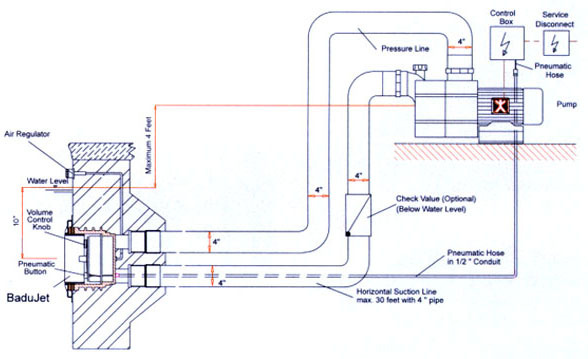 Air regulator adjusts amount of air bubbles in water flow. 7. 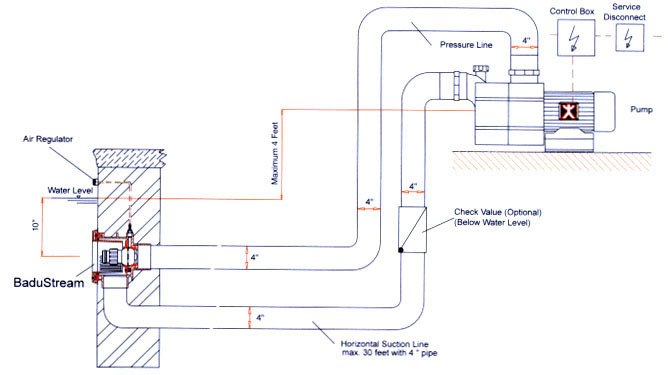 Tubing for pneumatic button, 50 feet (not shown). 8. Control Box with GFCI. any pool at a later date. 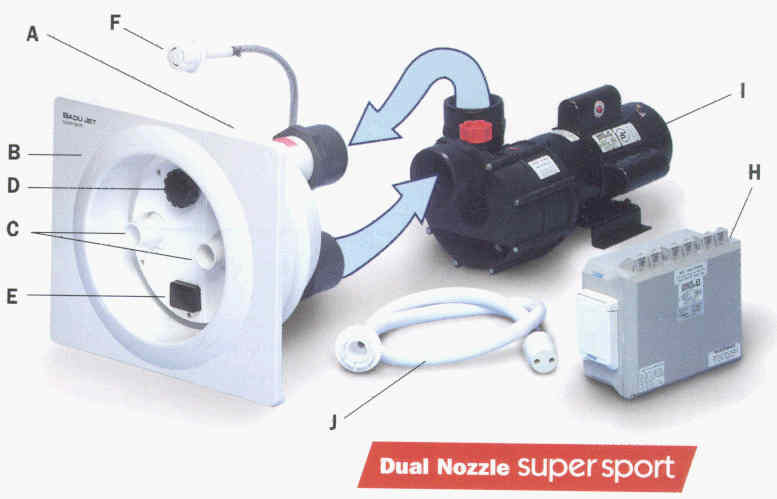 The BaduJet system includes control box with relay and air switch and 50 feet of air tubing. ©1999-2015 MicroConn, Inc. All Rights Reserved.